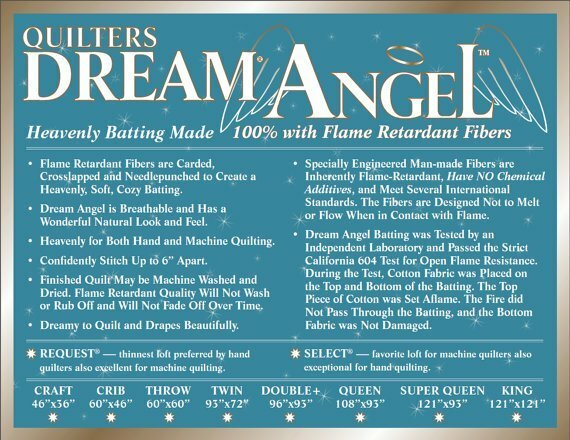 Dream Angel is made of fibers that are specially engineered to be flame retardant. The fibers are designed not to melt or flow when in contact with flame. The fibers are inherently flame retardant with no chemical additives and no PBDEs. Dream Angel can be machine washed and dried and will not loose the flame retardant quality.